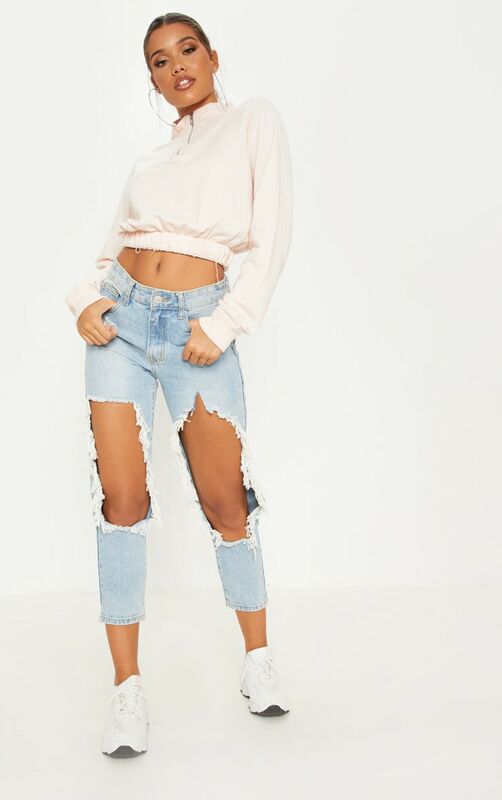 This sweater is perfect for your off-duty wardrobe girl. 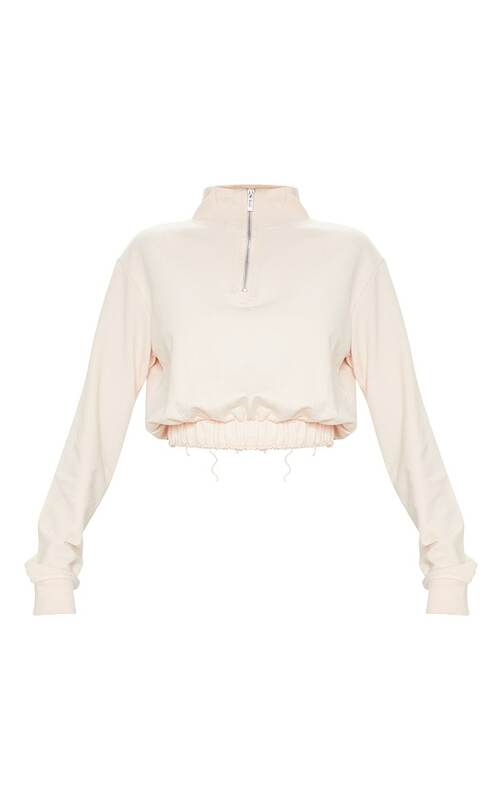 Featuring a light pink material with a zip detail and a cropped length. Team this sweater with jeans and fresh kicks, complete the look with your biggest hoops.